So dirty, how to make it clean again? If you're anything like me, when you started out your new hobby life as an aquarist, you bought a second hand fish tank. 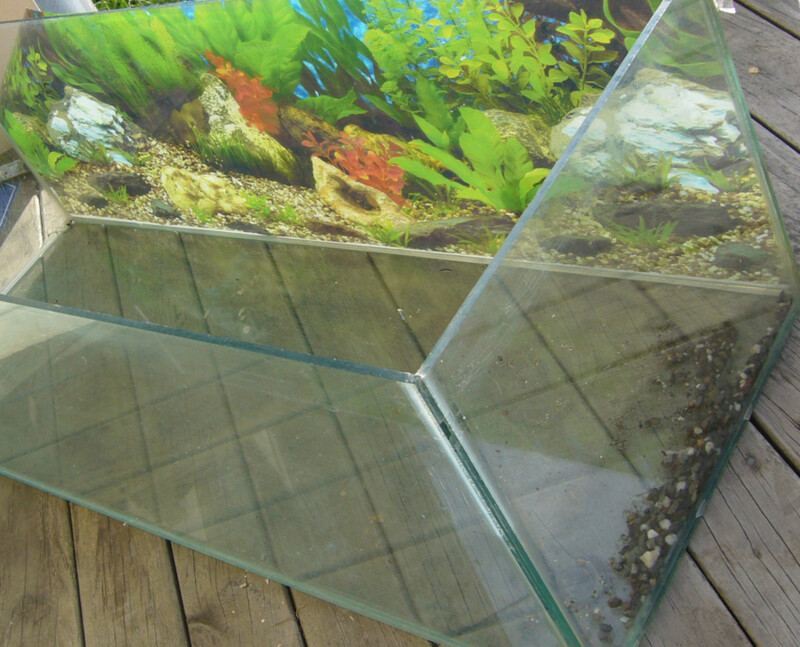 Second hand fish tanks, assuming they don't leak, and sometimes, even if they do, are an excellent choice for the newbie fish keeper because the fact that they are less expensive than a new tank allows you to buy a bigger one, and the most common cause of killing fish is having too small a tank and putting too many fish in it. Some professionals believe that one goldfish needs 20 gallons to itself, which means even putting one fish in the so called 'beginner's' tanks they sell at pet stores is sentencing your fish to a short life of misery. But let's say you've gotten your second hand tank, its nice and big, you're happy at the excellent deal you got for it, but now you want to wash it. You've looked around online and all you can seem to find are hysterical warnings to NEVER put soap or detergent in the tank (nigh impossible to get out of the seals and can kill fish over a period of months,) and to NEVER put other cleaners in there either. With all the warnings out there, one could quite easily be reduced to a quivering mass of confusion, but never fear, you have come to the right place. You can safely and effectively clean a fish tank using the following natural (and fortunately, quite cheap) substances. 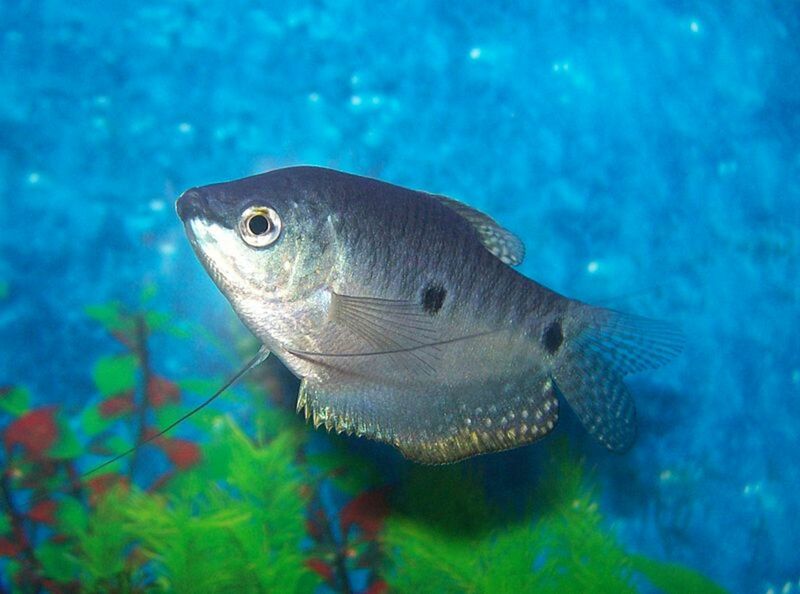 You're going to need to have a set of cleaning equipment that is only every used for the fish, as even a tiny drop of detergent in an old sponge can get into the water and start whacking your fish like a silent assassin. It is best to use scrubbing pads sold by pet stores because you know for sure that they have not been laced with cleaning products. Vinegar is excellent for removing hard water stains, and salt will clean out a tank nicely. Use lots of salt, don't be shy, and scrub it around there vigorously. Rinse very thoroughly and there you have it, a clean tank. 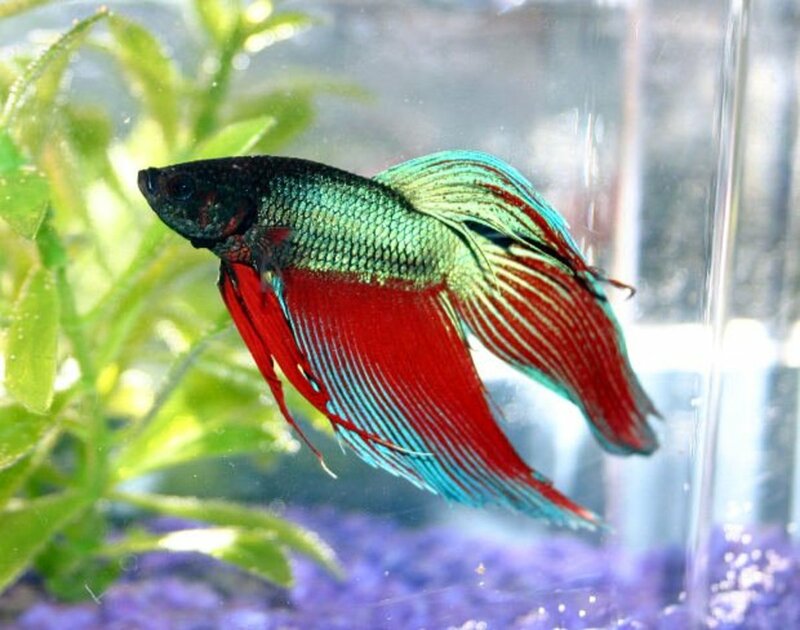 Vinegar will also neutralize a lot of unpleasant fishy odors that second hand tanks can develop if they have been siting mostly empty with a bit of old water and gravel in the bottom of the tank. Now, keep in mind, this is how you clean an empty second hand tank that you haven't put any fish in yet, don't go dumping salt and vinegar into a second hand tank that actually still has the fish in it, or you will soon find them doing the tragic upside down limbo of death. Once you have cleaned out the tank, fill it up and check for leaks. 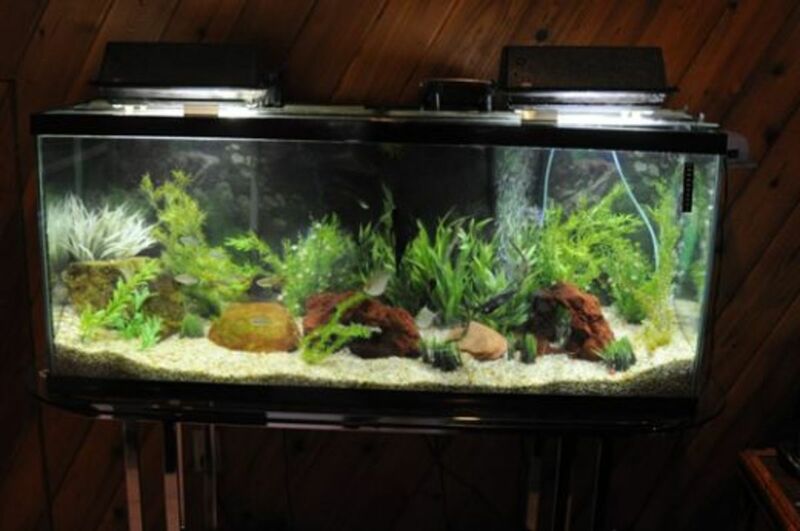 If there are any, you can use aquarium sealant to fix them up. Follow the directions on the sealant precisely, and don't rush things. It is common for new fish keepers to want to rush into getting fish in the tank, but this is how fish die. The process from getting a new tank to actually getting a healthy fish that isn't going to die can sometimes be up to a month, but it is worth the wait. There is nothing more disheartening to going to all the expense and trouble of setting up an aquarium only to find that all your fish are dead. 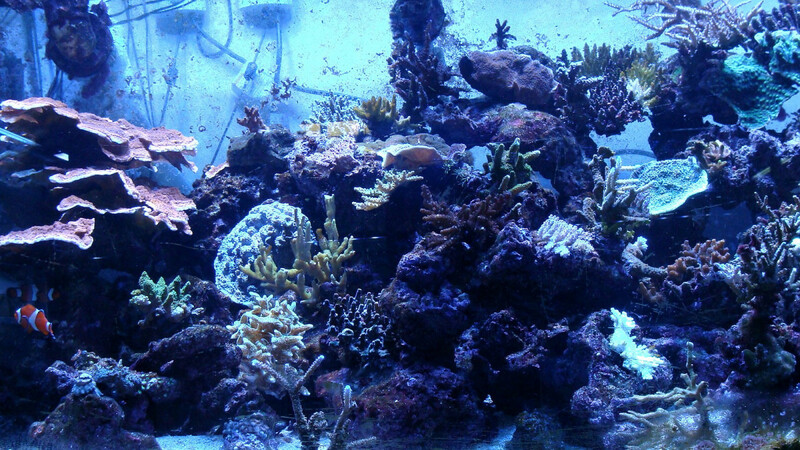 Once your tank is clean and you are sure it is sealed, it's now time to begin cycling the tank, a process which builds up a colony of good bacteria in the filter. 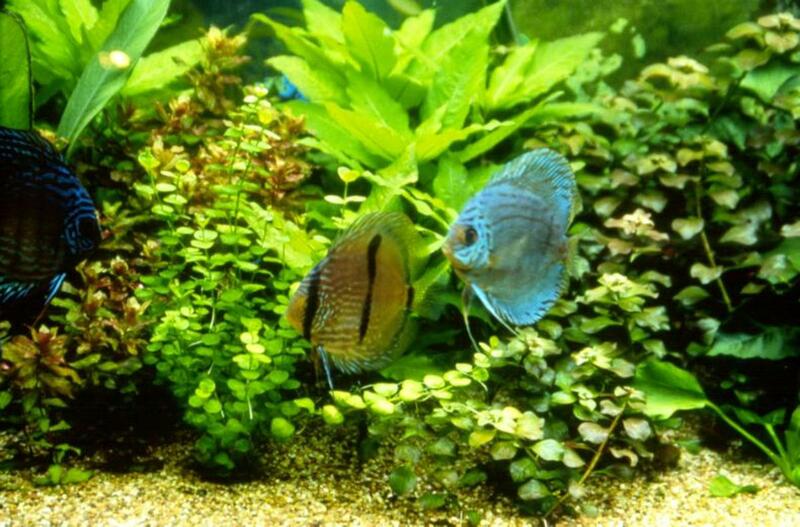 These good bacteria will convert ammonia and nitrates which will otherwise build up in your tank and kill your poor fish. More on Cycling A New Tank, next time. Someone poisoned my 10" goldies with an unknown odourless agent in their outdoor pond, over 2 days I lost all but 3 tiny ones. It was a plastic pond so is there a chance that it can be cleaned to be deemed fish safe again? I'm glad to know that I've been doing it RIGHT all these years.... Thanks for not having us go out & buying products to use when there is natural things for us to use. Most helpful - thank you! Thank you for the advice on how to clean a used tank, I just bought a 50 gallon one and I'm new at all of this would you direct me to the info on cycling a tank please? Thank you for your time. Thanks for the info... I am a newbie and just bought a 2nd hand 55 gallon tank that is filthy. It's complete with rocks and figurines but I don't know where to begin the cleaning mission. If you have anymore tips please send my way. But be sure when you use vinegar to use baking soda on all the surfaces afterwards to neutralize the acid from the Vinegar. thank you so much...Its going to be a big job but not as big as I thought. I cleaned my fish accessories with Lysol bathroom blast. 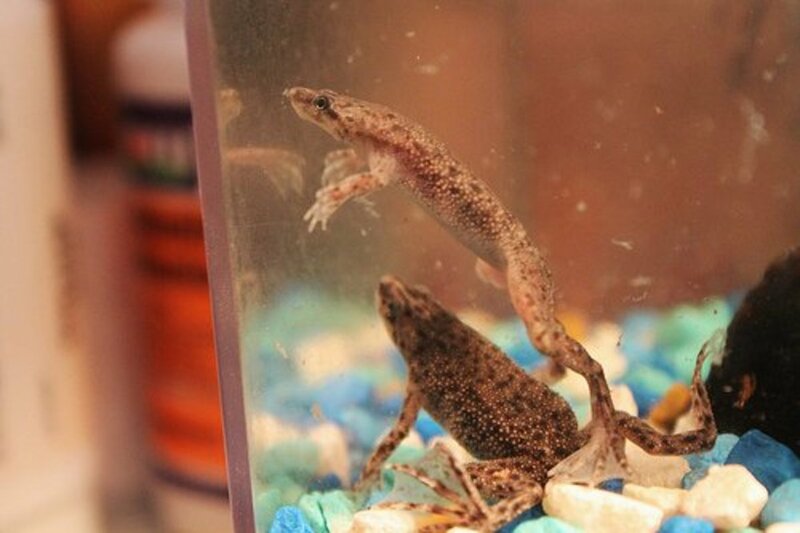 They soaked with water for 2 days they raised well and let soak for another 3 days in fresh tap water. Then I let them sit out and air dry. Can input them in the tank now? Do I use regular table salt ? & how much? Thanks for writing this hub. I appreciate your humor--"an acrylic tank scratches if you look at it funny." Oh dear, I can only imagine how horrible that must have been for you. 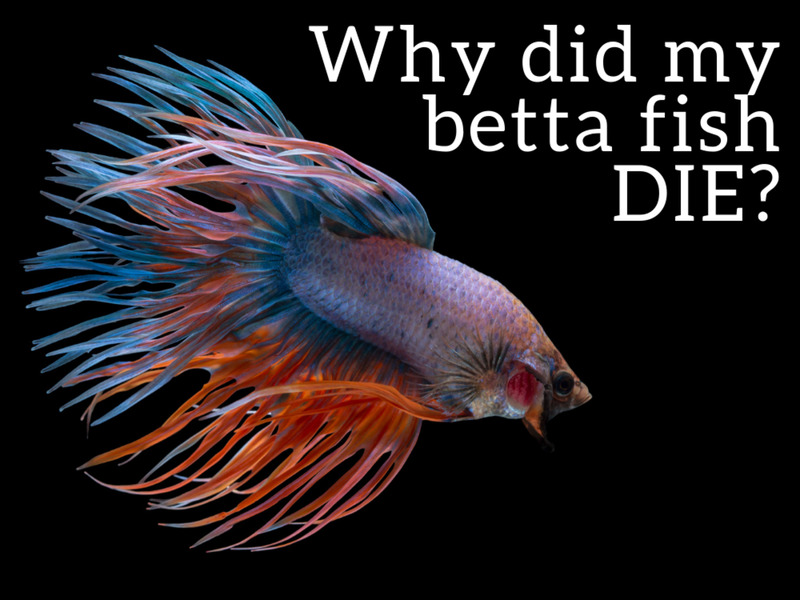 The expense and the loss of the fish you loved. That is very good advice about the hospital tank. Good information. I got started with a 270 gallon acrylic bullnose. oooooooops. I cleaned it well and kept it well for 2 years, but I didn't have a "sick tank" for newly introduced fish and killed everyting I had in less than a week. $2K worth of marine fish down the drain. reall sad too. p.s. always have a sick tank.